Turn down pain and reduce your discomfort. How would you like to experience pain relief, just by listening to an audio MP3? Want to reduce your pain levels, without drugs, on demand? It’s all possible, when you listen to our Pain Relief Shot. When you are in pain, your brainwaves have an elevated, stressed pattern. When you are pain-free, your brainwaves have a different, more relaxed pattern. 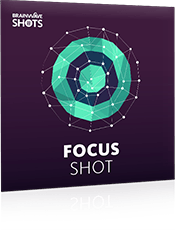 The Pain Relief Shot uses special ‘brainwave sounds’ to replicate this relaxed pattern in audio. As you listen, these brainwave sounds help your aches and pains melt away, as you feel more and more relaxed. The result? 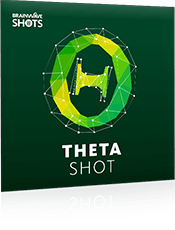 After listening to this shot, you’ll find your aches have either disappeared or been greatly diminished. You’ll also feel greater relief, as your body continues its natural healing process. 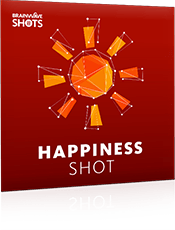 Our Pain Relief Shot will help you heal the hurt so you can get back to feeling normal again. The Pain Relief Shot audio lasts just 15 minutes. As soon as you've listened, you'll enjoy all the benefits that come with deep, healing relaxation, including a proven reduction in pain and restored freedom of movement. Your album also includes an extended 30-minute version of the Pain Relief Shot, which will further enhance the results you get. 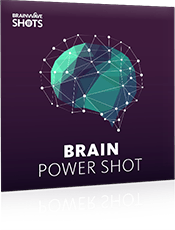 You’ll also receive 15- and 30-minute brainwave-only audios, so you can listen without our ambient background sounds, or mix with your own music. The Pain Relief Shot is completely safe* to use. It simply activates your brain's natural frequencies, on demand. Full 30-minute protocol: The session moves between 1 Hz and 0.25 Hz sub-delta in an irregular pattern that can be looped for continuous play. The regular audio mix also contains brown noise and wave sounds. The 15-minute versions contain a compressed version of this protocol. Get ready to delete pain from your body! 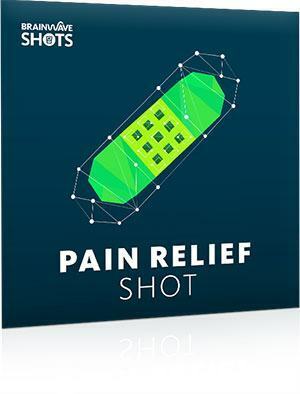 Discover the Pain Relief Shot today and make aches and pains a thing of the past. This is one of my secret go-to weapons! Whenever I think I need a shot of extra confidence, focus or motivation... whenever I need help relaxing, or getting to sleep... I hit play on Brainwave Shots. It sorts everything in minutes. These couldn't be better!